!! 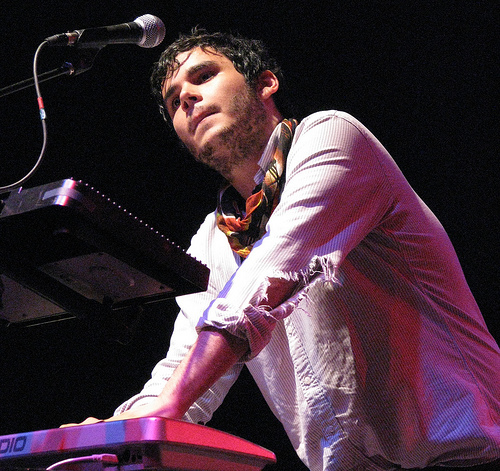 OMG, he’s gay: Vampire Weekend’s Rostam Batmanglij !! Vampire Weekend keyboardist/singer/songwriter Rostam Batmnaglij has confirmed to After Elton that he is gay in a new interview. With that song I was having fun, but at the same time it was honest — those lyrics are meaningful to me, they come from my heart. I was disappointed when it didn’t become a gay anthem, but, you know, it’s not too late. » NEXT ENTRY: OMG, Could it be Ben Affleck? 1 Comment on "OMG, he’s gay: Vampire Weekend’s Rostam Batmanglij"
The Vampire Weekend song ‘Diplomat’s Son”, on their new album ‘Contra”, is about a guy having a gay boarding school relationship with a diplomat’s son.